The definition of milk is a “pale liquid produced by the mammary glands of mammals,” which, on paper, doesn’t exactly capture the essence of the creamy substance that plays such a major role in the American diet. Then again, that may be because most Americans are drinking not just any mammals’ milk, but specifically the kind that comes from cows. While most Americans equate milk with cows–and possibly goats and sheep if we’re trendy or selectively lactose intolerant–there are numerous other animals that produce milk suitable for human consumption. Worldwide, cows are responsible for 83% of milk production, but coming in at a strong second are buffaloes, with 13%! (Anyone for a buffalo milkshake?) Various cultures across the globe consume milk from camels, yaks, horses, reindeer, and even donkeys. If you live in Arizona like I do and you want to buy local milk, you don’t have to look for anything fancy or expensive. Because Arizona has its own Dairy Council, milk produced in the state stays in the state. In general, all grocery store milk in Arizona is “local.” Inquire of your state’s dairy council to see if the same applies where you live. Lactose intolerance is not the same thing as milk allergy. Lactose intolerant people lack a digestive enzyme that breaks down lactose (the sugar in milk), while people who are allergic to dairy have an actual allergic reaction to the protein in milk. 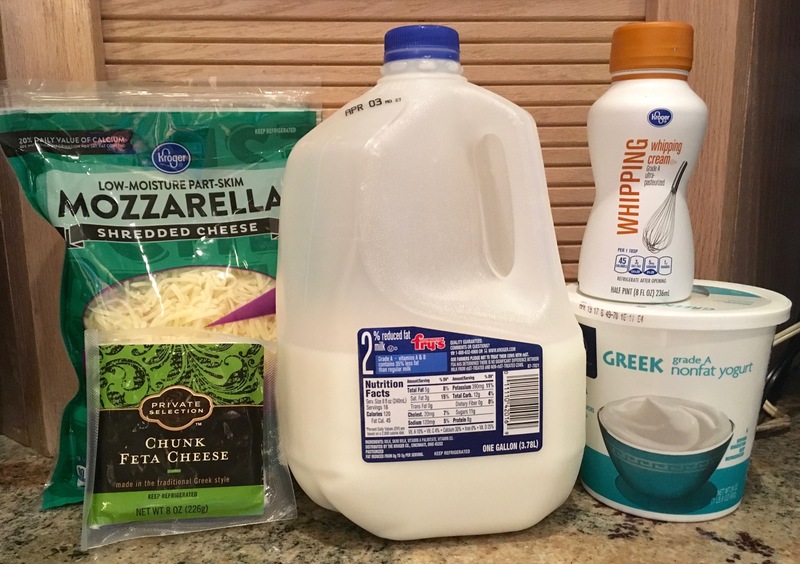 Many lactose intolerant people can actually eat yogurt and cheese because the process of turning milk into either of these products has done some of the work of breaking down the lactose, leaving less for the body to do. Milk (and therefore all dairy) contains carbohydrates. Lactose is a disaccharide, meaning it is composed of two simple sugars joined together, and sugar, as you probably know, is a carbohydrate. So if you were thinking that diary products are carb-free, think again. While we’re on the subject, milk is in a sense a “complete” food, since it contains all three macronutrients (fat, carbohydrates, and protein). One cup of 2% milk is made up of 12 g carbohydrates, 8 g protein, and 5 g fat. Finland consumes the most milk per capita of any country in the world, followed by Sweden and the Netherlands. The United States is 17th on the list. 8. Skim, 1%, 2%, and 4%? The percentage given to milk is an indicator of its cream content. “Whole milk” is a bit of a misnomer, as it’s nowhere close to being wholly made of cream. If we called it by its rightful name, percentage-wise, we would call it 4% milk, as it contains 4% cream. If you’ve ever found yourself without buttermilk when making a recipe that calls for it, you may have made your own substitute by adding vinegar or lemon juice to regular milk to curdle it. But why does this work? When acid comes into contact with the proteins in milk, it unwinds them in a process called denaturing. Once freed from their original form, proteins can bind with each other to form clumps. The result is what is sometimes called “a dairy version of scrambled eggs.” But let’s not call it that, because that sounds gross. Oh, and fun fact: the skin that forms on top of heated milk has a name–lactoderm! Its appearance also has to do with proteins becoming denatured. How much calcium does milk have, really? Are dairy products the highest dietary source of calcium? In short…yes! Or at least one of the highest. Collard greens, spinach, and sardines are other options that come close. Additionally, milk has been the only food routinely fortified with Vitamin D in the U.S. since the 1920s as a prevention measure of the vitamin D deficiency disease called rickets. And finally…ever notice how many Calvin and Hobbes cartoons have to do with milk? This entry was posted in Nutrition, Recipes. Bookmark the permalink. I’ve never been a fan of milk straight (I think the last time I drank it from a glass was about six years ago when I made “that chocolate cake”), but I’m not sure I could live without all the things you can make with milk! Ewwww to the fat globules in buffalo milk! I agree with you about drinking milk straight–I never do, either–but it definitely finds its way into my diet in plenty of other forms. I feel traumatized after reading about fat globules. So thanks for that. We drank milk constantly as children. Now I just save it for cookies. I eat a lot of cookies just so I can avoid osteoporosis. Because, health.